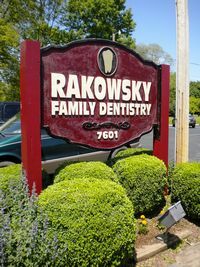 Rakowsky Family Dentistry is proud to serve the families of Upper and Central Bucks County, as we have been for over 30 years. Our entire team is dedicated to providing you with the personalized, gentle care that you deserve. Part of our commitment to serving patients includes providing information that helps them to make more informed decisions about their oral health needs. This website is a resource we hope you’ll find both useful and interesting. Contact us to enter yourself in this month's $25 Rakowsky Dental promotional gift certificate drawing to The Homestead, located at the bottom of Bridgeton Hill Road in the village of Upper Black Eddy. The Homestead is famous for it's homemade soups, sandwiches, and chilis. Check out the Promotions page to learn more about The Homestead. You can also find out who won the Rakowsky February 2019 promotional gift certificate to The Cactus Grill, where many Rakowsky Dental birthday luncheons have been celebrated. Head to our Office Chatter page to see how we have begun the new year! Please browse through our website and be sure to give us a call at 610.847.2433 if you have any questions or to schedule an appointment. If you have any questions, concerns, or would like to more information, please feel free to contact us. We look forward to providing you with the personal care you deserve. Ottsville Dentist, Larry Rakowsky, D.M.D. is a dental professional dedicated to General, Family & Cosmetic Dentistry such as Dental Exams, Cleanings, X-rays, Fluoride, Dental Makeovers, Teeth Whitening, Veneers, Crowns, & more. Please come and visit Ottsville, PA dentist Larry Rakowsky, D.M.D. for all of your dental needs.